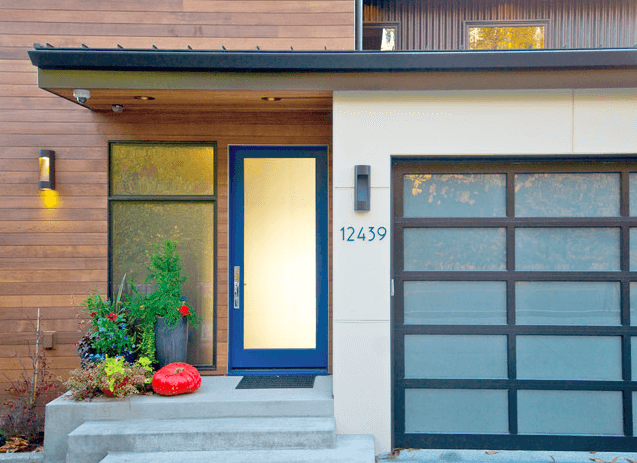 Whether you’re about to list your house or you feel like it needs a little love, you might be wondering how to increase curb appeal without going whole-hog on your exterior. 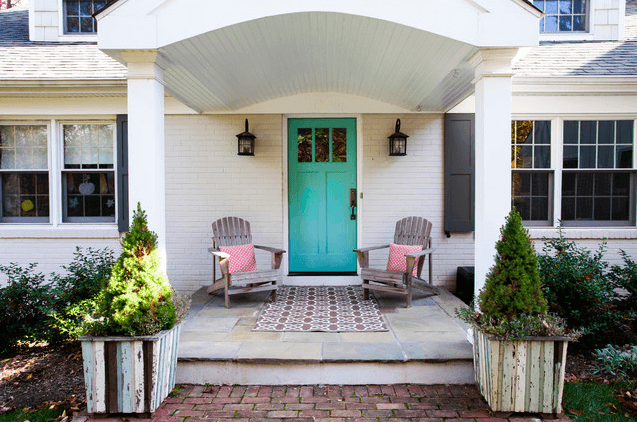 Luckily, there are plenty of quick and easy updates that can be made to your front yard that will make a big impact with a small investment. First and foremost—if you have any kind of screen or glass outer door that blocks the view of your front door, remove it! 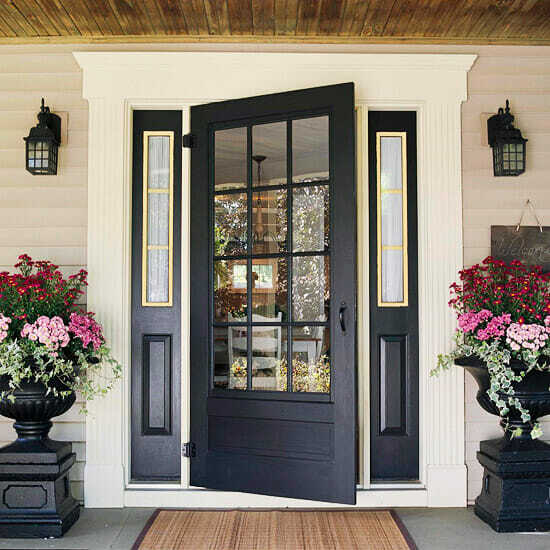 Then, choose a bright color (or if you’re a traditionalist, red, royal blue, and black can all look fabulous) and apply a few coats to the front door. It will immediately dress up the rest of your house and make it instantly stand out from the street. Use one or more potted plants to soften the lines of and add interest to your entryway. If you go with multiples, opt for varying heights and textures. Bright planters are another way to add color as well! Update your house numbers, light fixtures, or hardware. Take into consideration the period and style of your home, and choose new hardware accordingly. House numbers are sometimes fun in unexpected places, so do a little exploration on Houzz or Pinterest to see where you like them best. Just make sure they’re easily visible from the street! Add a doormat or rug in a bold pattern. Bringing the indoors out with a rug, pillows, or a doormat will make your home seem inviting and well-looked after. Bright colors or bold patterns will be more noticeable from a distance, so take this into account when shopping. Trim any unruly bushes and trees. Make sure any landscaping is looking its best, whether you hire a professional or do it yourself. And mow the lawn! Make a quick walkway with gravel and pavers. 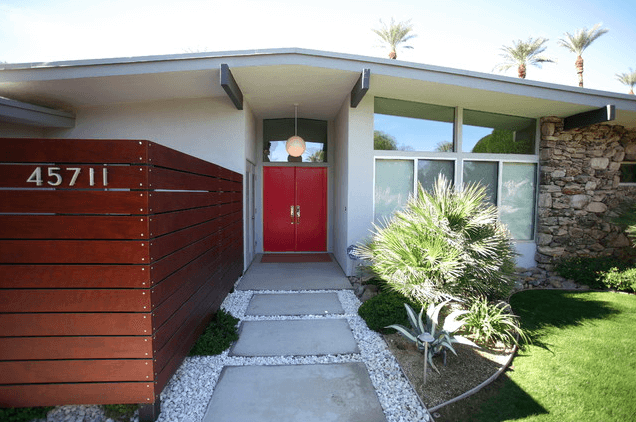 Although this home used poured concrete (another good option), you can recreate this look with pavers from your local hardware store. Gravel is an excellent way to cover any bare ground as well—use it as you would mulch for a modern feel. Sometimes all something needs to look incredible is a new coat of paint. Or, consider replacing it with something modern and exciting. This is a biggie! At the very least, move your garbage, recycling, garden hose, bikes, etc. to your back yard. 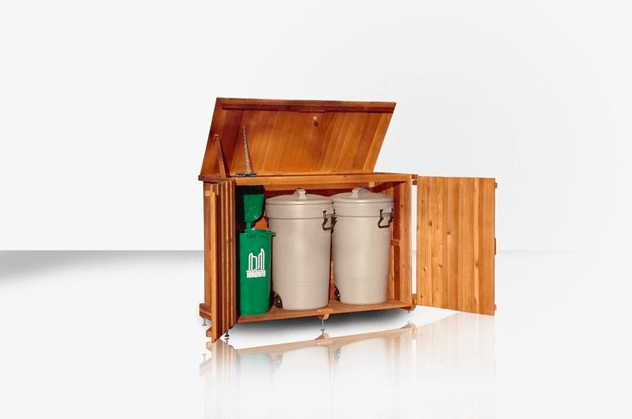 But if you’d like a more permanent and convenient solution, consider purchasing or DIYing an attractive storage container like the one above. 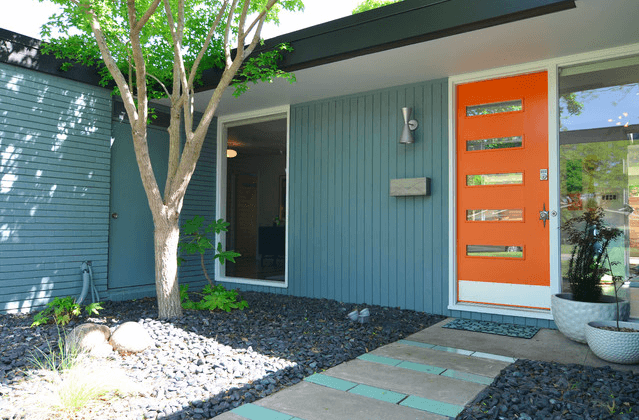 Increasing your curb appeal is easier than it sounds. With these quick tips, you’re well on your way to having the most stylish home on the block!